Good Books to Teach Concepts of Print — Turn the Page...It's Fun! Looking for Books that Teach Concepts of Print? The following books offer opportunities to reinforce essential print concepts. These books are older, tried and true titles. The benefit of using older titles is that you can often find them substantially discounted on Amazon and E-bay. I assure you these titles have been kid tested and still hold the interest of today’s children. Greydanus, Rose. Big Red Fire Engine. Troll and Associates., 1980. Print. In this story students can learn that print carries the message because the pictures do not always match the print. Cartoon firefighters and their Dalmatian mascot put out fires, raise ladders, and ring sirens. Children always wonder at the necessity of climbing a ladder to put out a garbage bin fire, creating a wonderful opportunity to discuss an essential understanding that the pictures support the text, but the text is most important. Currently $.01 on Amazon, this story is guided reading level 12/G/Mid 1st Grade. Kessler, Leonard. 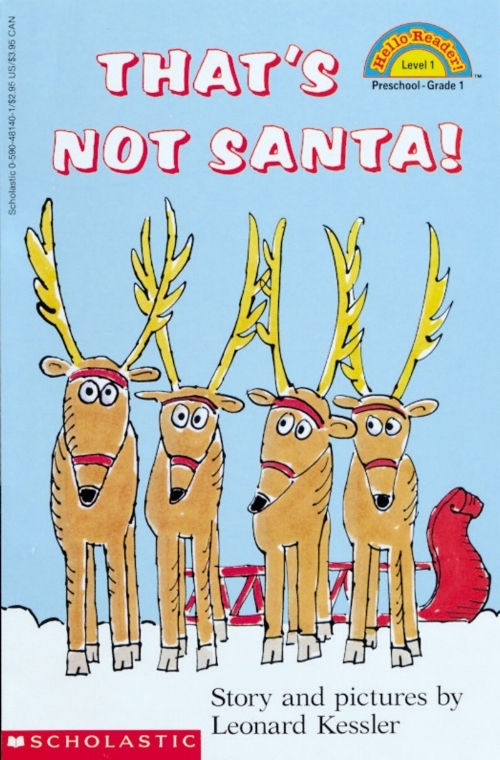 That’s Not Santa!. Scholastic Inc., 1994. Print. In this book there is directional movement on a double page spread. Print sometimes alternates between top and bottom of a page. Occasionally, a picture in the middle of a page separates print. 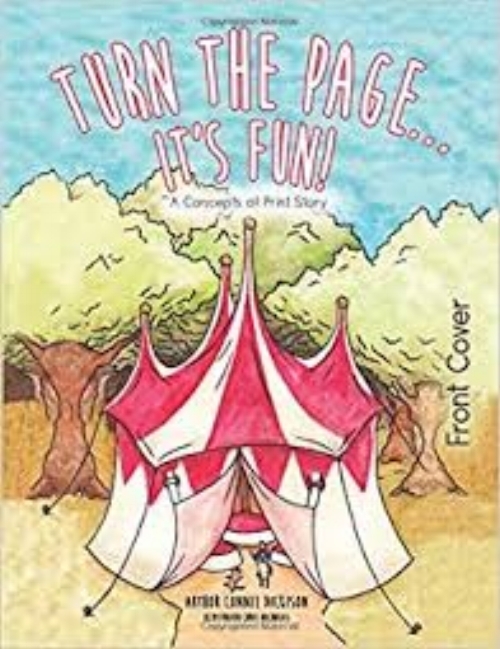 Currently $.01 on Amazon, this story is guided reading level 10/F/Mid 1st Grade. Santa cannot find his red suit. He tries many substitutes including his red long underwear! Dufresne, Michele. Help for Rosie. Literacy Footprints., 2003. Print. This book has many quotes with a variety of punctuation marks to provide abundant teaching opportunities. This story can also lead to discussion of using voice and expression to bring characters to life. Bella and Rosie have a faulty scheme to avoid the veterinarian. Currently $1.55 on Amazon, this story is guided reading level 14/H/Late 1st Grade.